I've actually discovered the "new" Nicole Richie with your blog. In France she's mainly known as the "rich girl from the simple life", but with your blog I've discovered the designer, the mom, the author, the fundraiser etc. So...thank you ! 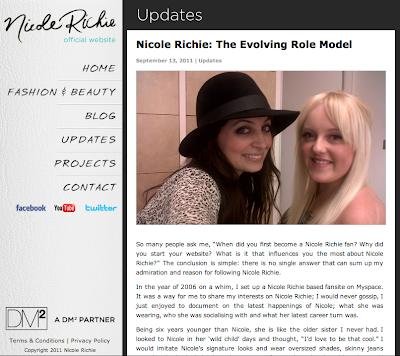 I really love your blog that keeps focused on fashion and not on her private life !